Coarse-grained measures emerge on the silk (Volz et al., 2009). Represent a face. This entry was posted in Uncategorized on April 14, 2015 by Sarah Kelly. This panel (Thursday, 3:30-4:45) was really interesting to me because it got me thinking about ways I can bring DH into my EN 103 courses I’m teaching in the fall. In “UA Genealogies: Historical Archives and Storytelling,” Dr. Lauren Cardon talked about a fascinating 103 project she taught, in which her students conducted genealogy research on one branch of their family, then composed 500-word narratives with digital images and uploaded them to Word Press. Thirteen of the best projects also went on display in Hoole. Lauren talked about how the project helped students make personal connections to the campus community through working with the ADHC and Hoole, as well as taught students skills in archival research and digital gallery-building. Dr. April Morris presented “Beyond the Book Report: Digital Tools, Undergraduate Engagement, and Intellectual Experimentation,” in which she described her experiments in bringing DH tools into her art history classes. As exigence, she explained that the range of digital materials and technologies for presenting art is “exploding” and that students like and respond well to digital materials. April showed us a series of art history course websites she had designed, which became successively more integrated into the class and involved more student input. One of the coolest student projects is a “mortuary temple to Brenden Fraser” a current student is building in Minecraft. (!?) April stressed that students need a sense of ownership over their digital projects, as well as the importance of letting students present their research in class to build community. Both presentations gave me inspiration for my upcoming courses, which will focus on visual pedagogy of World War II propaganda (including barrage balloons, of course). I had already planned on having my students keep Tumblr blogs, but now I’m considering having them work on a course website instead (or in addition), as well as adding a digital component to their researched position paper. I also plan to use DH resources (including ArtStor and other things I’ve discovered in this class) to give my students access to more media than is available traditionally. This entry was posted in Uncategorized on April 14, 2015 by Susanna Coleman. The Bizer, Heath, and Berners-Lee article made some points that intersect with the humanities and with previous discussions we have had in this class. One is slightly disturbing to me: “Linked Data uses RDF to make typed statements that link arbitrary things in the world. The result, which we will refer to as the Web of Data, may more accurately be described as a web of things in the world, described by data on the Web” (2). I’m not sure how literally I am supposed to take this statement, but to me, things in the world are not data. They can be described by data, but the Web of Data cannot include things in the world. The web refers to things in the world and identifies many different bits of data that refer to the same thing in the world. When things are related in the real world, this relationship is distinct from the data relationship, or predicate, between them. I’m uncomfortable with the appropriation of real objects by the (capitalized, as Michael points out) Web of Data, and I wonder what the authors intended to communicate by including the world in their data web and emphasizing the distinction (or non-distinction) between a web of things and a Web of Data. I’m interested to hear how others read this phrase. The rhetoric that bothers me did not extend throughout the article: “The RDF Vocabulary Definition Language (RDFS) (Brickley & Guha, 2004) and the Web Ontology Language (OWL) (McGuinness & van Harmelen, 2004) provide a basis for creating vocabularies that can be used to describe entities in the world and how they are related” (4). Here, it is clear that the web describes real things and relationships rather than including them. I really like the idea that people can create their own words within an existing language to describe real relationships that have not yet been defined on the web of data. I feel like writers who have created new words would be into that. Jabberwocky! These data authors translate a relationship from the real world, and the word for it, into a data vocabulary. The individual creativity and control this gives contributors seems to fit right into the collaborative nature of DH and the internet as a whole. On another note, the biography of Tim Berners-Lee has an especially impressive and punchy beginning and ending. Just in case not everyone scrolled down all the way, these are some pretty fun facts: “Sir Tim Berners-Lee invented the World Wide Web…In 2001 he became a Fellow of the Royal Society” (26). This entry was posted in Uncategorized on April 14, 2015 by Allison Wheatley. I think the readings for this week on linked data were a good way to end the class. Now that we know about some of the DH resources out there, and how those resources can make information more readily available, we’re learning about how all this information can be linked and connected. The creation of the “global data space” (1) that Bizer, Heath, and Berners-Lee are talking about is something I’ve never really thought about before. This project is so massive and involved that I’m not even sure you can really call it a project. The ultimate goal, according to the authors, is “being able to use the Web like a single global database” (17). It requires world-wide cooperation and overcoming the various research challenges that the authors outline. 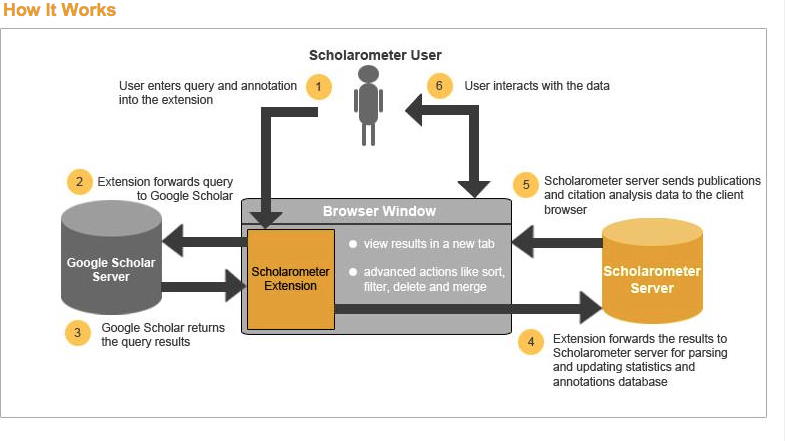 They state that “If the research challenges highlighted above can be adequately addressed, we expect that Linked Data will enable a significant evolutionary step in leading the Web to its full potential” (20). This seems to me like a very big “if.” They detail seven different challenges, all of which seem if not insurmountable, at least very difficult to accomplish. Maintaining the quality of this kind of global database, or even maintaining the database itself, seems particularly problematic. I also wonder about the scale of this project in terms of time. Are there specific goals, or rather, do the authors have specific expectations for what will be happening in five, ten, twenty, or fifty years? Perhaps I shouldn’t even think in terms of “project,” but rather in terms of progress toward an ideal that may never actually be achievable. While reading Bizer, Heath, and Berners-Lee’s article, I decided to try out some of the linked data resources they mention. I found links to some browsing and searching tools on LinkedData.org and tried out LOD Cloud Cache search engine (since it allows traditional searches with words instead of URIs). I did a search for my favorite Pokemon, Drifblim. To be honest, I didn’t really understand the results. The first result was Drifblim’s entry in “dbpedia.” Dbpedia’s entry listed some subject/predicate/object triples about Drifblim, where Drifblim is the subject. 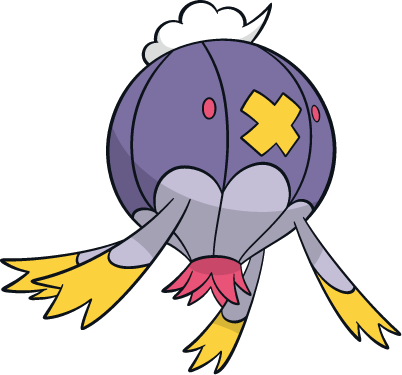 For instance, Drifblim (subject) is the the primary topic of (predicate) http://en.wikipedia.org/wiki/Drifblim (object – Wikipedia’s entry on Drifblim). I also got to see the “sameAs” predicate in use, where Dbpedia noted that Drifblim “is sameAs of” Grodrive (Drifblim’s French name). Clicking on each type of predicate in Dbpedia gave me more information on it, although again I had a hard time understanding what the information meant. Another linked data search result was to a “WikiData” page about Drifblim – what I assume is a wiki-based database of linked data, an alternative to Dbpedia. This page had some different triples, such as Drifblim (subject) has the label or name (predicate) of Drifblim, Drifzepeli, Fuwaride, etc. (object – names for Drifblim in other languages). It also included a “description” predicate which told me that Drifblim is a species of Pokemon. This entry was posted in Uncategorized on April 12, 2015 by Susanna Coleman. Just to understand what is linked data, I found the dummies version. So the Bizer et. al article told me RDF triple is helpful when there are two or more data sets and I’m trying to search for two things that have a relationship. The two things I’m searching for have URIs and are linked together so that if I search for Albert Einstein across multiple databases then Theory of Relativity is going to appear in the results as well because the two things are related, they are linked by tagging. This brings us to earlier conversations about documenting the methodology for tagging. If I work on a project that is going to create a web or linked data then the methodology or tagging must be documented for all the RAs to follow and it would be helpful if it were published so people know how to search and have an explanation for what comes up during a query. The tool I reviewed attempts this. If we remember the query function didn’t work at the time of the tool review, but it pulled from Google’s database and used crowdsourced tag overlays to produce results from queries. 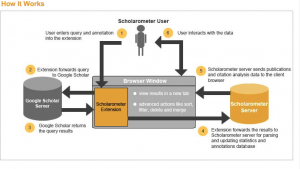 It uses the Web of Science model which I think is or is related to linked data. After seeing this tool and its methodology, we may ask ourselves for the purposes of our particular projects whether its better to crowdsource the tags/links or have a method in place to have RAs tag/link? This entry was posted in Uncategorized on April 11, 2015 by Loren Springer.